BRONZED captures the magical moment that skin becomes sun-kissed, combining the essence of sea and salt with fresh orange blossoms in the breeze. Caribbean musk, Italian bergamot, night-blooming jasmine, blood orange and pink grapefruit modernize the scent and enhance its sophistication. This symphony of notes evokes glistening turquoise water and the glow of sea-washed skin refreshed in sunshine. 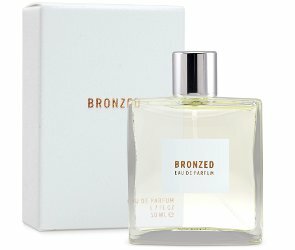 Bronzed offers a clear, effervescent freshness that not only cleanses the spirit but grounds us as well. Paradise found. Apothia Bronzed is available now at Ron Robinson, in 15 or 50 ml Eau de Parfum. *I am not sure when it launched, but I think this year. A candle and bath products in the Bronzed fragrance have been on the market since around 2013/2014.